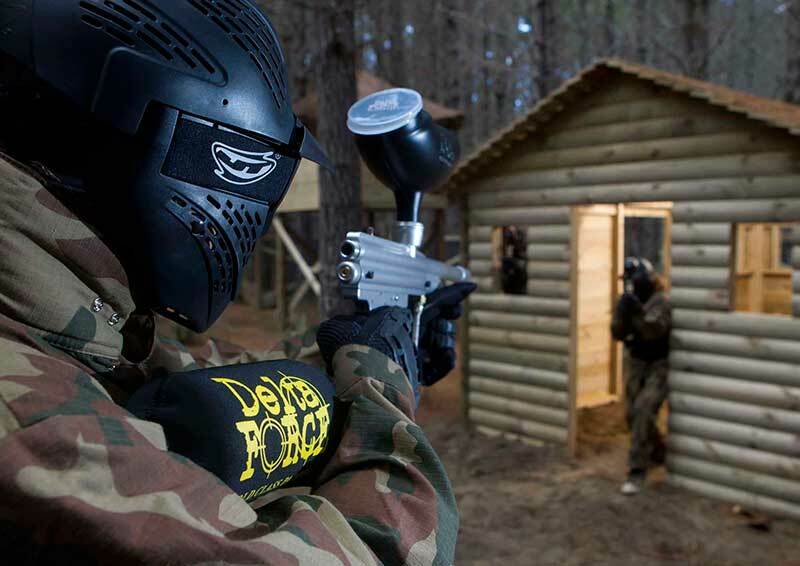 Delta Force Paintball East London – no expense has been spared at the Upminster Paintball Centre to provide avid paintballers with scenarios that resemble scenes from a Call of Duty game! Players from the age of 8+ years take to our battlefields aiming to defeat the enemy in Jet Hijack, or rescue the President in London Apocalypse. Delta Force Paintball South West London – With years of experience hosting all types of events ranging from birthday parties for 8 year olds to action-packed stag and hen celebrations, the Effingham Paintball Centre has what it takes to deliver a paintball experience to remember! 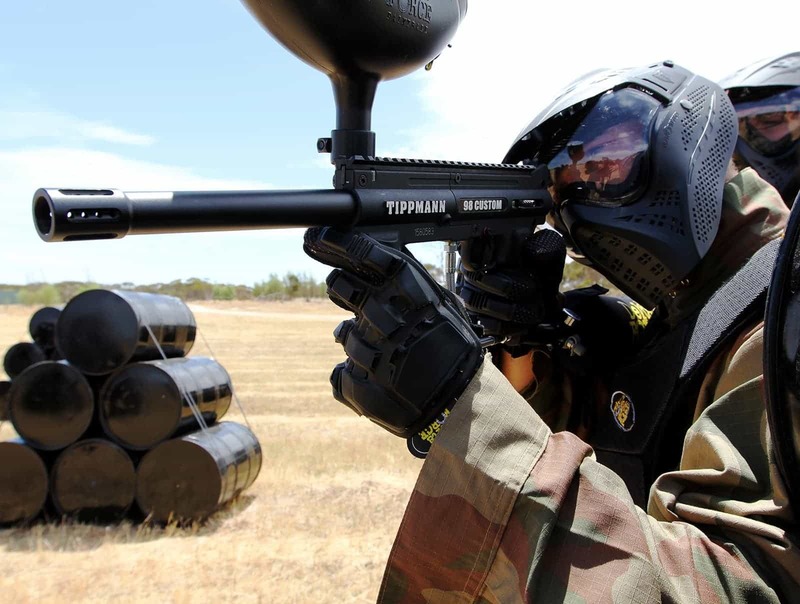 Delta Force Paintball North West London – set within the stunning Hertfordshire hills on the site of a restored WWII era US Air Force base, the Hemel Hempstead Paintball Centre is geared up to provide a thrilling day out for all involved. Get set to rescue your comrades from the crashed helicopter in Black Hawk Down or play the hero as you regain control in Viet Cong Village. Explore the extensive network of Delta Force Paintball venues for a day of paintballing adventure and adrenaline-charged fun. Delta Force has a varied selection of 12 London paintball centres to choose from and all centres offer a fantastic array of game zones, meaning choosing your venue might be the toughest decision you’ll make. In every corner of London no matter where you live you’ll be close to a world class Delta Force Paintball centre. There’s a reason Delta Force is the largest paintball London provider, entertaining 700,000 players annually. Top customer service, world-class facilities, millions of pounds invested in centre development, premium outdoor locations and the latest paintballing equipment ensures your London paintballing day will be out of this world! Don’t just sit in the pub or the park next time you want to meet friends. Do something radical and you’ll never look back! North Londoners don’t have to go far beyond the A41 to find our North West London and Watford paintball centres – each equipped with high spec game zones and facilities. Being located within five miles of each other means you’re not short of choice for the ultimate paintball centre just north of London. The seven militarised game zones at Delta Force Paintball North West London include the one-of-a-kind paintball scenario Black Hawk Down as well as the iconic Castle Wallenberg. This transformed former Air Force base resembles an action film set and is a paintballer’s paradise. In nearby scenic Hertfordshire lies Watford’s closest paintball London centre. Well planned, intense mission scenarios see teams defend a two-storey fortress, engage in attack manoeuvres and super-challenging missions. The exciting game zones at Delta Force Paintball Watford provide the ultimate setting to let your imagination run wild and the theming within the scenarios ensures you’ll get lost in the moment and forget it’s just a game. The wide open spaces on the east side of London provide a great setting for paintball groups wanting a thrilling outdoor adventure. The Delta Force Paintball London design team has transformed quiet forest trails and wide open spaces into seek and destroy game zones. Located on the fringes of Greater London, the Delta Force Essex Paintball Centre is set in 40 acres of stunning forest in Billericay and is easily identifiable by the giant water tower at its entrance. Nearby, the East London Paintball Centre in Upminster has a distinctive urban feel, offering a completely different experience for players who want to shake things up on some unique terrain. Paintballers located in London’s south east can let down their hair and escape life in the fast-lane at the Delta Force Paintball Centre in Orpington, South East London Paintball. Set in 30 acres of stunning woodland off Junction 4 of the M25, each game zone delivers high-octane action including an extensive D-Day landing paintball game zone among others. The second Kent Paintball Centre option, near Junction 6 of the M25 is way ahead of the game when it comes to providing exhilarating paintballing London experiences for players aged 8 years upwards. There’s a serious London Apocalypse themed challenge and plenty of huge mission scenarios to keep you on your toes. 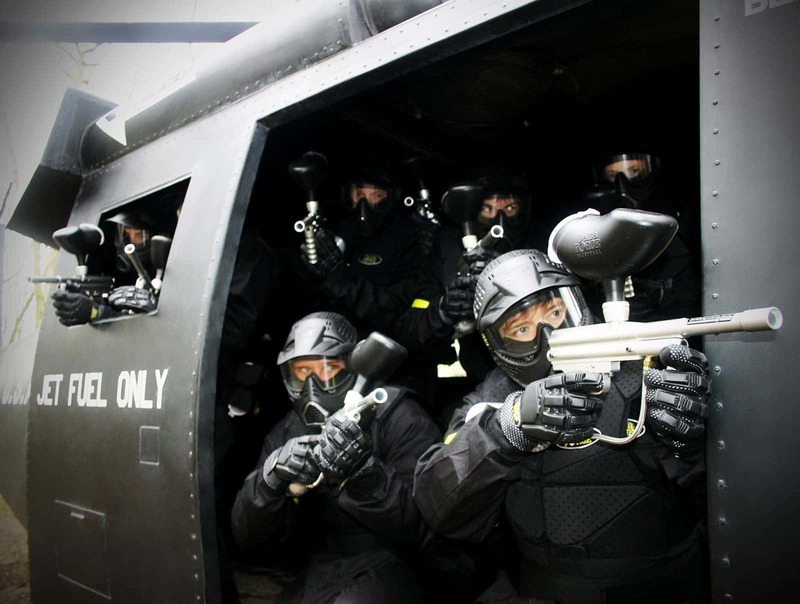 The South London Paintball Centre in Crawley hosts 6 of the Delta Force iconic game zones with themes purpose-built by a professional army of builders. 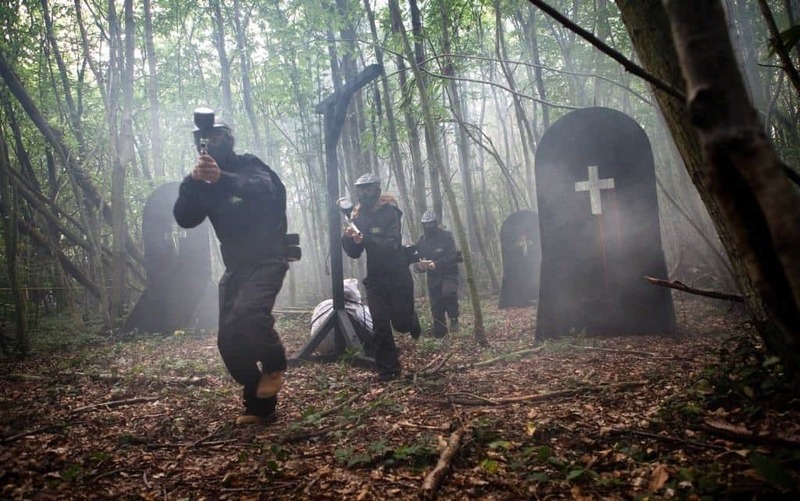 Set against an amazing backdrop of natural forest, Delta Force Paintball in Crawley provides thrilling physical challenges and top in-game action including fort battles, castles and haunted graveyards. Two of Surrey’s centres are only a mile apart from each other and offer incredible choice and world-class paintballing action near London. Tackle 7 game zones at the Delta Force South West London Paintball Centre in Effingham including the action charged Viet Cong Village and Zombies’ Crypt challenge missions. Delta Force began in Cobham, Surrey over 20 years ago by designing the first paintballing London centre for world-class paintballing action. Come and experience the excitement and fun that continues year after year at our flagship venue – Delta Force Paintball Surrey – which features 6 action-packed game zones including the Tomb Raider themed set with an iconic 30ft high pyramid! 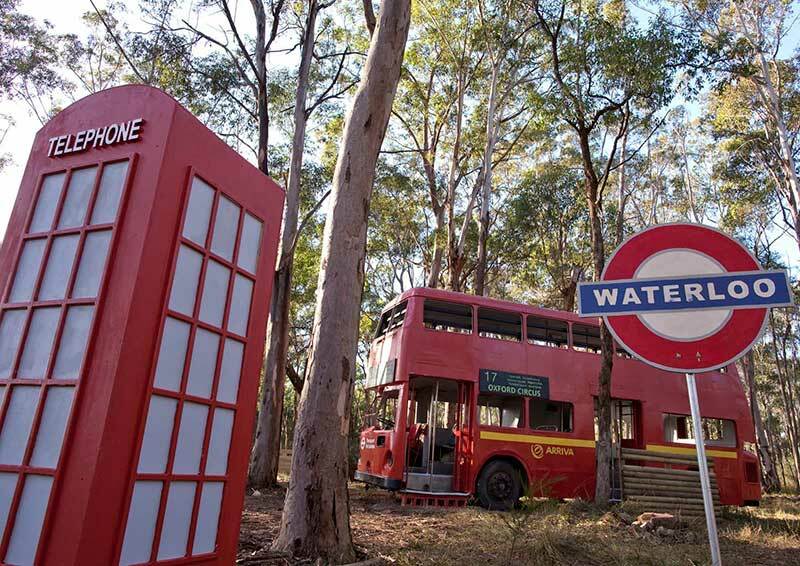 Spend the day at the West London Paintball Centre in leafy Gerrards Cross in hot pursuit of the competition as you take on 5 superb game zones including a London themed-apocalyptic attack! The leading Maidenhead Paintball Centre to the west of London offers a touch of fame with paintball game zones decorated by the actual Soviet tanks used on the film set of James Bond’s ‘Tomorrow Never Dies’. Try Delta Force Paintball in Reading, situated in an exclusive and scenic private estate where you’ll have to work hard to beat your opponents and claim victory! Deciding where to go paintballing London? Choose Delta Force Paintball! Let off steam by playing at any one of 12 paintballing London centres designed with backdrops you won’t find anywhere else. Experience game zone challenges and superior layouts on par with world class theme parks. Choosing a day out paintballing near London is easy when you have the best facilities and qualified marshals at your fingertips. All paintballing London centres are within easy reach of transport links right from the heart of London, which guarantees there is a Delta Force Paintball centre close to you no matter where you live in London. We cater for players aged 8 years and up, meaning it’s the ideal outdoor activity that the whole family can enjoy. During our full day paintball events, players are kitted out with protective equipment including full-head protection, coveralls and padded body armour. Delta Force health and safety practices and customer service across our national paintball centres hold the prestigious UKPBA five star rating from the UK paintball governing body meaning you can rest assured you are in safe and capable hands. Paintballing London has gained enormous popularity over the years, with more and more people are booking their birthday parties, corporate events and stag & hen parties with us. Contact our friendly team at Delta Force Paintball on 0203 869 9301 to book an awesome experience at one of our paintballing London centres today.